A superyacht escape is a dream luxury holiday for many, but what can it offer adrenaline junkies? As it turns out, when combined with Arctic heli skiing, pretty much everything you could wish for. Heli skiing trips mean being flown by helicopter to the top of a mountain in a quest for untouched powder and phenomenal views. They deliver a level of freedom and adventure that is simply not attainable by ski lift. Now imagine being able to explore the polar ice caps like this while staying on a luxury superyacht. Slicing down virgin slopes, viewing the northern lights, relaxing back at your yacht anchored in the dramatic fjords of Greenland. Spending a day husky-sledding and ice-diving before a massage in the yacht’s Balinese spa, a soak in the ultra-heated Jacuzzi, or an elegant dinner prepared by the yacht’s private chef. Sounds like paradise to me. If the combination of heli skiing trips and private yacht charter hasn’t occurred to you before now, that’s not surprising. This is a new type of ultra-luxury holiday that I discovered recently. It seems to have been created especially for thrill-seekers who enjoy the finer things in life. This expedition means that if you don’t have your own superyacht (a man can dream), or a group of friends with the capacity to charter a yacht to yourselves, you can still enjoy a yachting experience. 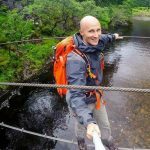 This is a great way to explore the region, because you’re transported from major hubs like Sisimiut to remote spots like Kangerlussauq without even having to think about it. It also dials up the adrenaline of a standard yacht charter by offering Arctic heli skiing alongside other exhilarating activities. LEGEND is a 77m explorer yacht with a serious polar pedigree. 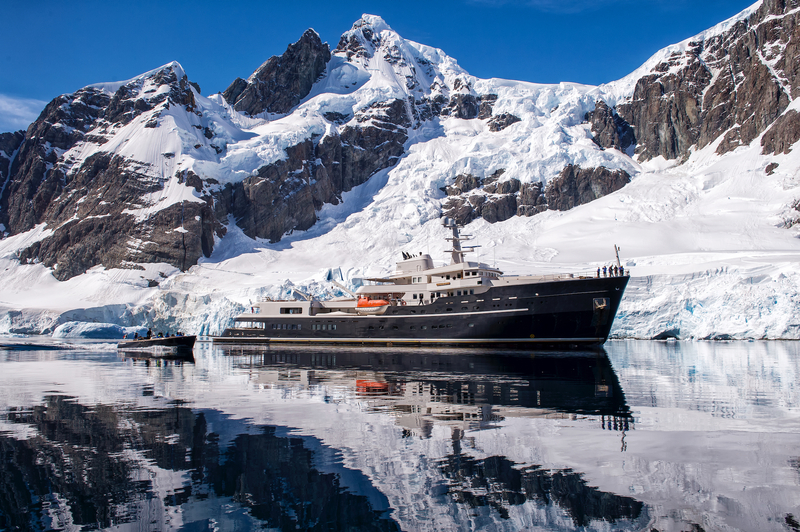 An ice-breaker expedition vessel, the LEGEND yacht has been converted to include all the luxury trimmings, including a helipad, heated Jacuzzi, cinema, gym, library, and Balinese spa including sauna and beauty salon. After a day of Arctic heli skiing or ice-diving, you can return to the yacht to feast in one of two dining rooms, have a cognac by the fire, or sit at the bar listening to the grand piano, looking out the window at the immense polar landscapes or watching the northern lights. When it’s time to turn in for the night, each stateroom or suite is uniquely designed, with optional extras including a soft lounge area, an office, or a small bar for enjoying a private drink. All staterooms have ensuites, decorated in wood and marble. 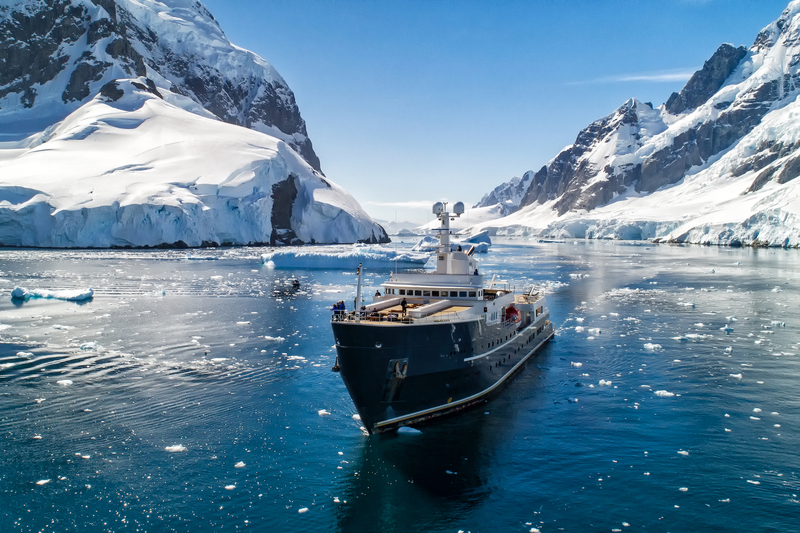 With a full-time crew of 19 and a specialist expedition team onboard, there is still room for 26 guests on the yacht – a testament to the size of the boat. 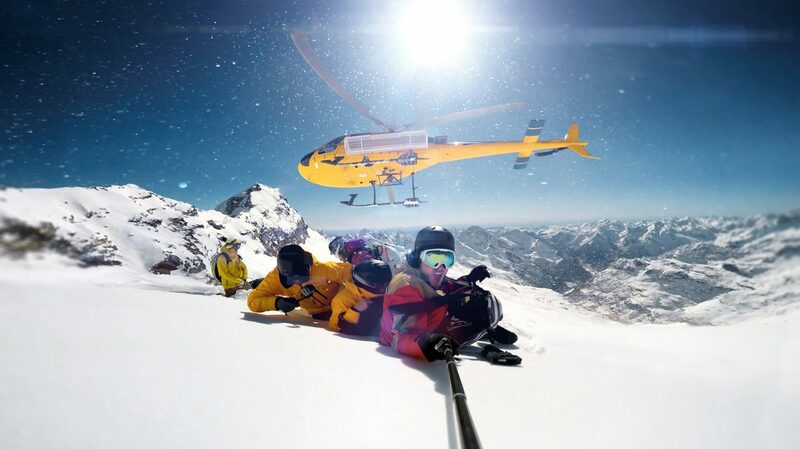 What activities are possible on this heli skiing yacht charter? A Greenland and Antarctica yacht charter on board LEGEND can include guided Arctic heli skiing, hiking, dog sledding and ice-diving in the fjords. In addition, you’ll have full access to the yacht’s water toys (including snowmobiles, kayaks, and zodiac tenders) and blissful spa. This opportunity to live the superyacht life on an Arctic journey is not one to be missed!